I have received several requests to do my betting diary as well. Who asks me this, also says that it’s important to know how is the daily life of a professional trader and it’s important to know how far you can reach if you work with dedication in betting. My answer is that I don’t have the time to assume the commitment to create a daily register. Beyond the time I spend in my work, I have all my life, which was organized before we started this project. I split my time between family, friends, football and the institutions that I collaborate with. And now, this project is consuming me much more time I thought in the beginning, because I didn’t account for so much forum members, website followers, even though in such sort time, to the point of sending us down the server with only one month of the project existence. 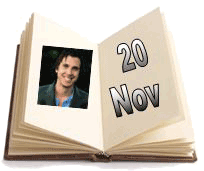 As a midterm solution I can, however, write here the next week of my life in my diary. This way you get the idea of how is the idea of a professional trader, this is, my life. After the Bacelona match from last night, my week is complete. In this diary you will get to know the life of a professional trader and learn some of the possible analyses that you can do during a soccer match. 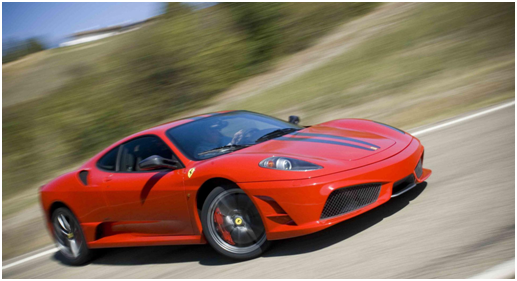 … with dedication and scientific analysis you can earn money through betting. … despite in this week I haven’t lose money in any of the matches, I had moments during the game, in almost all of them, where I was losing money. Loses makes part of this job and we cannot let ourselves be damaged by them. 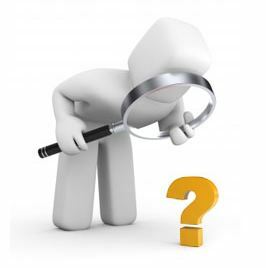 The important is the search for a long term positive expected value strategy. 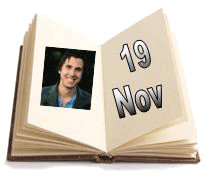 … the analysis of the psychological moment of each team in every minute is fundamental. … we should not blame “bad luck” for our mistakes. On the contrary, we should analyze our mistakes, try to learn from them and if possible reverse them on our behalf (ex: Portugal vs Spain). … sometimes the best bet is to do nothing (ex: Portugal vs Spain). 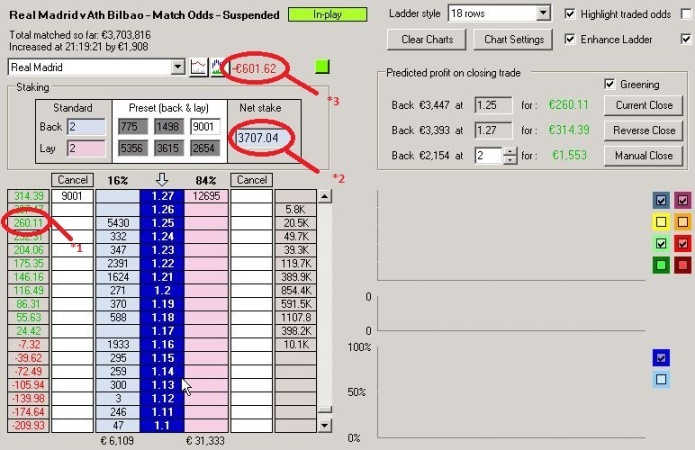 … the 2-0 represents many times an opportunity to trade with value (ex: Real Madrid vs Athletic Bilbau). … the break time is a key moment in the match, it’s more important as more strong is the personality of the coaches (ex: Real Madrid vs Athletic Bilbau) (ex: Getafe vs Zaragoza). … the deep knowledge of the teams is very important (ex: Sevilla vs Mallorca). … if you are convinced that you made a valuable analysis, you have to be strong enough to believe in yourselves even when the majority of the others thinks different (ex: Getafe vs Zaragoza – decreases in the Getafe odd). … when we don’t have any bet with positive expected value, then we shouldn’t bet (ex: Braga vs Arsenal). 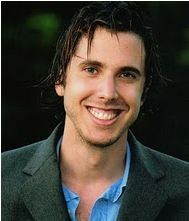 … time increases your experience and your technique tends to get better. 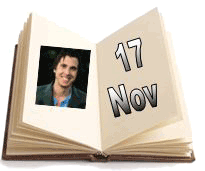 In this page we can see the betting diary of a professional with 7 years of experience. I hope you consider it as a motivator when you realize how far you can get with dedication and scientific method. However it’s not here the betting diary of this same professional when he started in bets. The beginning wasn’t easy to me and I walked the same difficulties that I see you going through today when I read your diaries. I made the same mistakes that you do. If you really like this, do not be discouraged in the face of adversity and not give up. In my case, the idea of working with something that I like so much, and the absence of any boss above me, made me never give up, though it was the easiest, several times. 1º we should not desolate when we got one red. 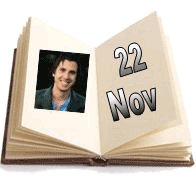 2º it is very important to analyze our mistakes. 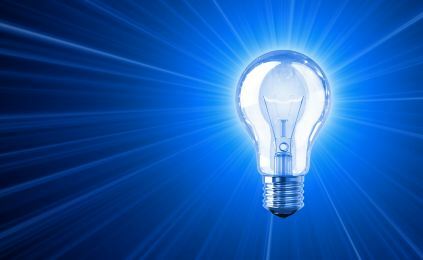 3º our mistakes can become opportunities if we are smart enough to realize it and turn it on our behalf. Whenever I loose in some situation due to my mistake, I don’t panic. I analyze the situation in order to avoid the same mistake again. After backing that in a similar situation I will not lose money again, I try to win if the situation repeats itself. In this topic link , I shared with you how I lost 2500€ because I bet in favor of no more goals at 1,01 odd. Resuming, the game was decided and we were at the last play of the match. I bet that it will not be any more goals. But the Lyon players were with great strength to score and the managed to score in that last play. It was my mistake. 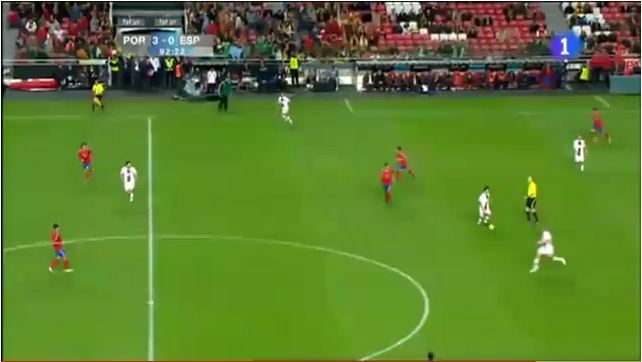 On today’s match, Portugal was winning for 3-0 and he recovers the ball in his defensive midfield. At that time we knew it would be the last play of the match. The easiest was to bet that it would not be any more goals because the game was decided and Portugal had the possession in his midfield. I almost bet in favor of no more goals but I remembered that other match Benfica-Lyon where I lost and I decided not to do it. Then I saw in the Portuguese players the same strength that I saw in the Lyon players on the last play of the match (look Pepe running towards the offensive midfield, it’s not normal with the game decided seeing Pepe do that in the last play of the match) and then I decided to enter the market in favor of another goal in the last play. … thank you Hugo Almeida! Not only haven’t I lost any money because I didn’t bet against more goals, as I actually won money betting in favor of more goals. 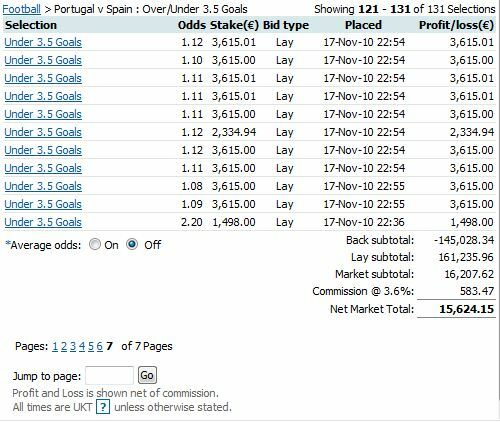 I only entered the market +-3,5 goals after Portugal scored the 3-0. According to betfair, the last price that I bet was at 1.08. My final bet on this market was in fact do nothing. 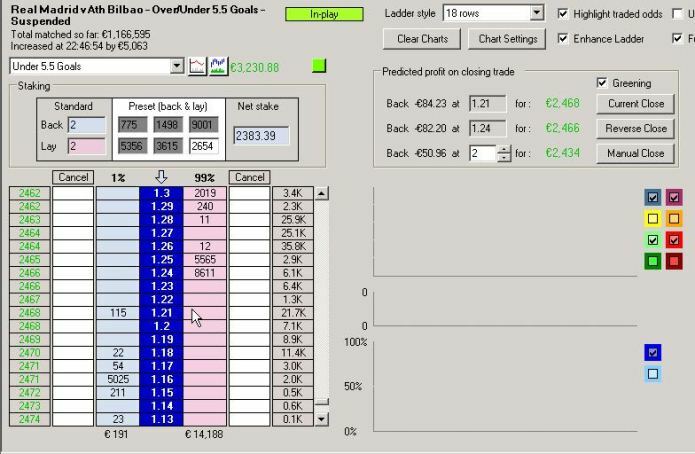 Besides I haven’t Back Under 3,5 goals, I had lays prepared for the last minutes to trade and I simply let them be there. 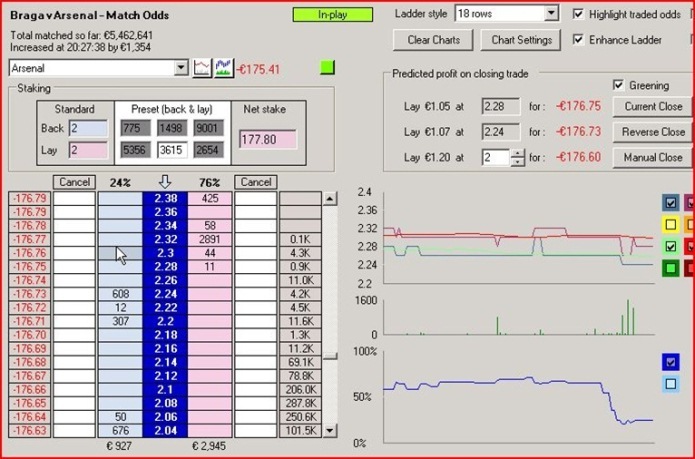 As it was the last play of the match, the forcing to drop the price was huge. As the play moved on, the bets entered, and I let them be. Making that mistake on Benfica vs Lyon was the best that could have happened to me for today’s match. Doing the math, my strategy and my bank came out to win. Neste dia não fiz nenhum jogo. In this day I haven’t entered any match. I spend the afternoon with an institution nearby my home. I promised them one video to help promoting and publish their work, as soon as I find the time. I will put that on Bet Solidarity. At night I went to play football with some friends (cold, very cold). When we finally thought we could rest, so many website accesses threw us down the server. For those who haven’t seen the game, the result can be quite misleading. Bilbau was the best team that played in Real Madrid stadium this year, at least the team who played the better football. When the game started, we saw a defiant Bilbau but Real Madrid was the one who has the low odd. Although I believed that Real Madrid will win the match, I thought that it would not be that easy as the odds suggested. My strategy was to bet against Real Madrid and wait for the odds to level up. When Real Madrid first scores I was winning 260€ (* 1) but I had 3707,04€ (*2) against Real Madrid. … I would won3707.04€ if Real Madrid didn’t win. … And I would lose -601.02€ (*3) if Real Madrid win. However the most important value is 260,11€ because it says how much we can win now if we split equally the profit for all the market selections. I’ve analyzed carefully the players reaction to that unfair result so far. I was surprised because Athletic didn’t accuse the goal and kept playing good football. So I kept a cautious strategy and mostly against Real Madrid. The second goal is usual a key moment in football matches. Some teams relax when they reach 2-0, others motivate even more and go to the rout. The losing teams get usually discouraged, but some other teams take advantage of such relaxation of the adversary. I’ve carefully analyzed the psychological moment of the players, for example by their reaction on divided balls where the Athletic players were clearly winning. My conclusions: Real Madrid players started to think on the next match (Barcelona vs Real Madrid). Athletic felt that relaxation from Real Madrid and didn’t gave up, despite the handicap of 2 goals. With the odd between 1,01 and 1,02 it’s rewarding to bet against Real Madrid. … How the match was going it was not likely that Real scored another. … There was still a long time before the match ended. The odd was not going to drop below 1,01 and after that lay bet it was still possible to bet in favor of Real Madrid at 1,01 for a long time. 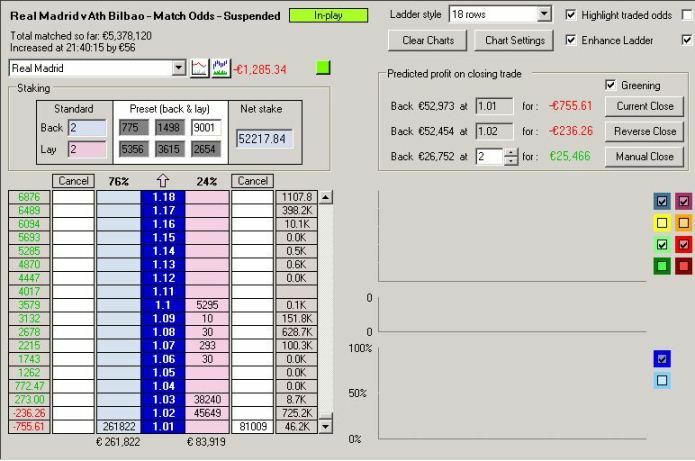 … The prize for a possible Athletic goal was big (Real Madrid odd could rise several ticks) for such small risk (losing 1tick at most, this is lay at 1,02 and then be forced to do back at 1,01). Being so, let’s bet against Real Madrid. As I predicted Athletic scored. I had a total of 52.217,84€ bet against Real Madrid. 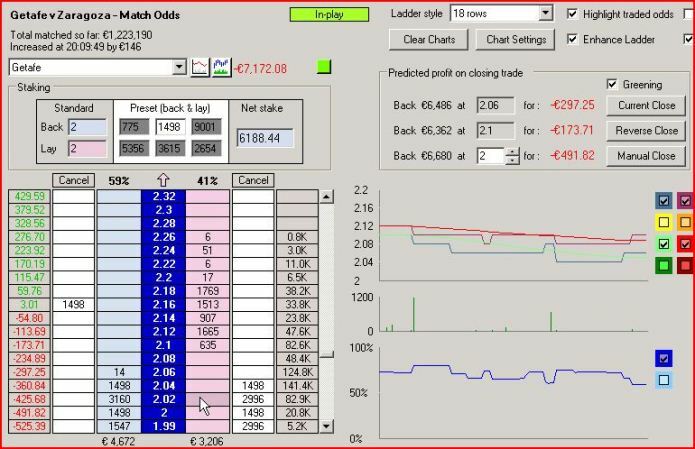 Notice that all that money represents only 1.044,36€ of liability in Betfair. Meaning, someone with 1.044,36€ in Betfair bank can make a Lay bet at 1,02 odd of 52.217,84€. With Athletic on top of the game I knew that I had until half time to ask for the 2nd goal from Athletic. The goal didn’t came and I lost the change to win in this match more than 30.000€. There is one important fact for this match: Mourinho wasn’t in the bench because he was serving punishment. However he could come down to the bathhouse in the half time. I knew the game will end then. Mourinho would make his players understand that Barcelona match was until the next week and that it was very important to win this game with Athletic in order to visit Barcelona in the first place. He would motivate his players to re-enter the game with ambition and not relaxed as they were after their second goal. As Real Madrid odds raised with the Athletic goal, and with the explanation I just gave about the half time, I decided to bet this time Back on Real Madrid. And as I predicted once more, Real Madrid scored. 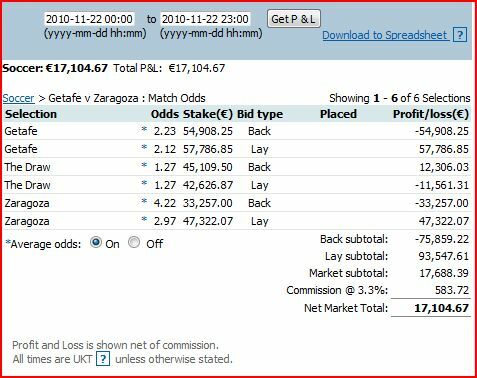 By that time I had 48.833€ in favor of Real Madrid, because I was plenty convicted that Real would enter the second half searching for the goal. If the goal didn’t show and the match walked to the end with only one goal difference, my position would be different. 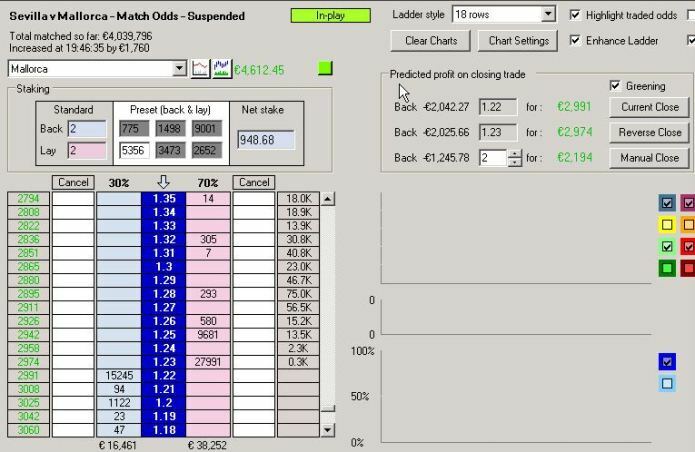 After the 3-1 I decided to split the profit between all selections. 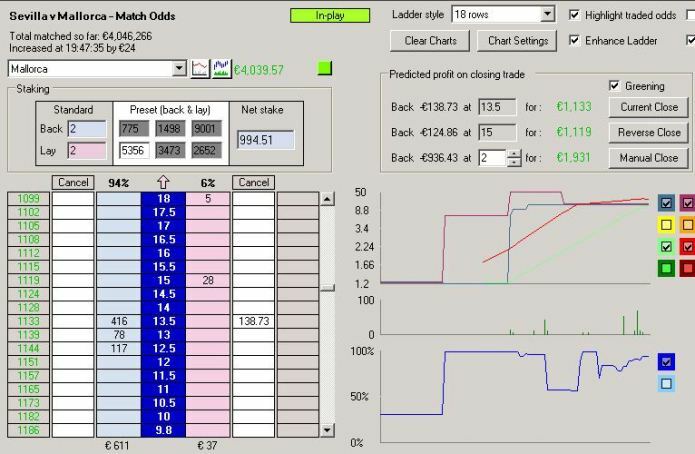 The 4-1 came when I hadn’t any open position and I had already a total profit of 6.673€. As the match was decided I moved to the market Over/Under 5,5 goals. By that time I realized that Real Madrid was happy with the result and was again thinking on Barcelona match. However the odd of the Over 5,5 goals was very low due to the recent goals, so I grab it to trade on the escalade of the odd. 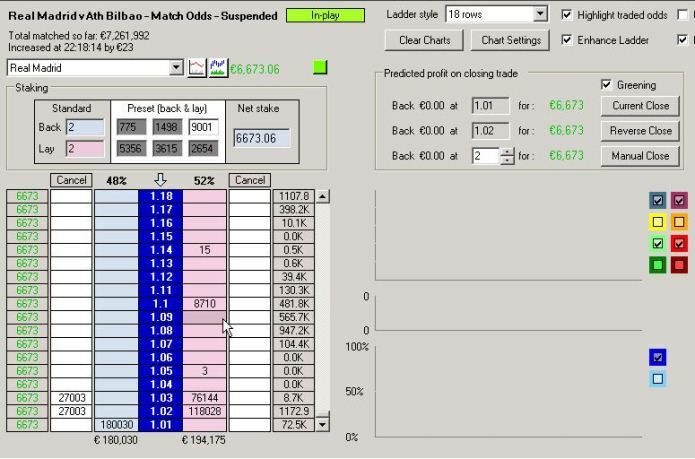 I left that market with 716.90€ profit and moved to work now on the Under 5,5 goals as it had more liquidity right now. I was trading in the drop of the odds. In the last minutes, the match was broken and I realized that the goal could come at any minute even though I wasn’t that sure to bet in favor of the goal. I split the profit equally for the Over and the Under. I did wrong… the goal actually came in the last minute. I could have won more money. Even though, in the Over/Under 5,5 goals market I won a total of 3.129€. In this game I found an opportunity to bet with great value even before the match started. If I wasn’t going to work with the match I would have done Lay on Sevilla at 1,67 and kept it. On disposal of the two teams was clear to me: Sevilla would encounter a lot of troubles to win Mallorca. In my opinion, Sevilla coach made a mistake to let rest so many players due to the matches of the National Teams in the middle of the last week. He underestimated Mallorca and trusted the home factor, maybe due to the good results that Sevilla had at home (at Sánchez Pizjuán stadium) since he arrived at the club. Sevilla has the most spectacular attacks of entire Europe with Kanouté, Negredo and Fabiano. But they can’t do anything if the ball doesn’t reach them in good conditions. It’s a petty to see a player with the class (and the age) of Kanouté having to come to midfield fetch the ball. 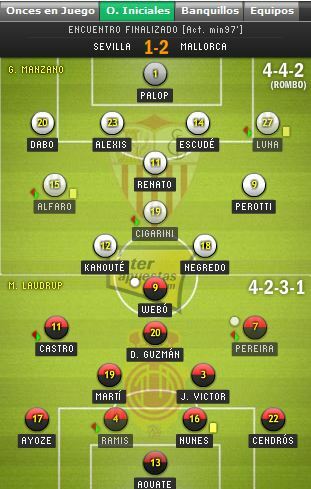 I realize that Mallorca would run the match as soon as I saw the initial team’s compositions, more precisely the midfields of both teams. 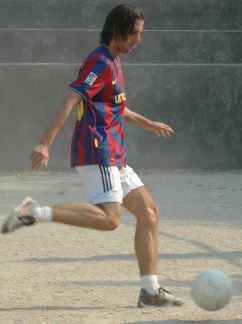 D. Guzmán (watch out for this player! I foresee him going to one of the biggest European teams), Martí and Victor easily could suppress a Sevilla without Navas and Capel (both injured), and without Cáceres, Zokora and Romaric (all resting). Cigarini isn’t good enough for Sevilla. … First because of my football analysis Mallorca starts with advantage. … Secondly because analyzing the market, the odd at 1,67 is clearly influenced by the excellent results that Sevilla had in the last home matches and the good results in general since Sevilla switched the coach. Although the team from the other games is different from the team today… therefore those results should be carefully weighted. The market hadn’t that factor into account, which is crucial, in my opinion. As predicted, Mallorca governed the match since the beginning. He had several opportunities to score but he didn’t. Sevilla couldn’t make a single shot in the first 30 minutes. It was a petty that Mallorca didn’t score, because I had a lot of money against Sevilla and if Mallorca scored I had won a significant profit. The market realized in the practice what I had predicted in the theory and I won 1.728€ without any goal, only by the rise of Sevilla’s odd. Then the match turns, Sevilla wants his pride back and decides to run the game. We were crossing a phase where the psychological moment of Sevilla players was clearly stronger than Mallorca players. Sevilla reached twice the Mallorca goal area with danger. By that time I had more money on the side of Sevilla trying to take advantage of the predictable goal scored by Sevilla. But football is like that… in the best period for Sevilla, it’s Mallorca who scores. The goal of Mallorca came when I had more money in favor of Sevilla, so I lost some of the money that I had won with the rise of Sevilla’s odd. I moved to Mallorca market and took advantage of the odd’s drop because Mallorca had the game under control. 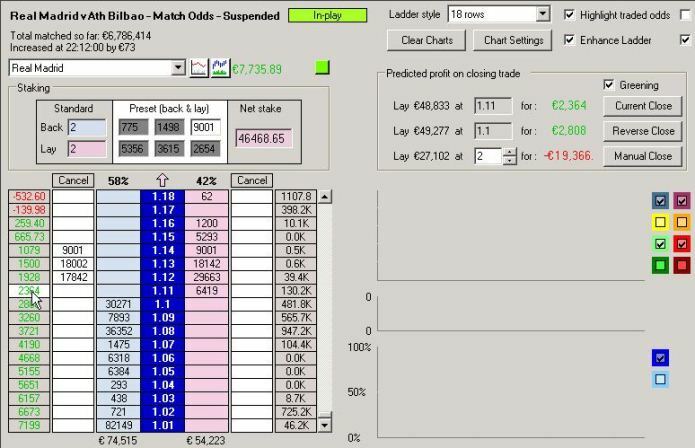 I was trading almost until the end of the game mostly with more money in favor of Mallorca. With this strategy I managed to be winning 2.974€ only on Mallorca market. However Sevilla stole me again part of my profit. I had a total of 2.042,27€ in favor of Mallorca. I closed with only 1.133€ profit in this market. … Sevilla was thrilled with the draw and he would search for the 2nd goal because he wanted to win the match at home. … Mallorca wasn’t going to accept this result because he was winning (and playing better) most of the match. With both teams in this state of mind, I concluded that it was very likely to be another goal in the final minutes. I decided to Lay the draw because the probability of another goal was worth the risk of losing money in the drop of the odds if there were no more goals. For the first time I won money with a goal in this match. I had 5.287€ bet against the draw. 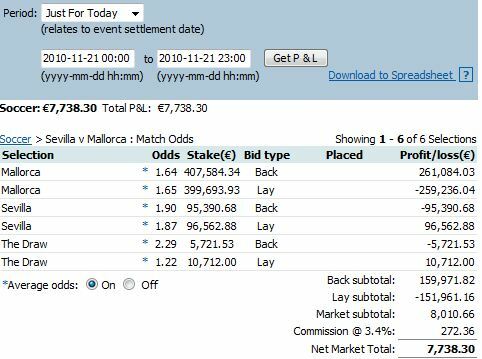 After the 1-2 I split the profit and ensured 4.990€ profit no matter the result (this was a careful move due to the final pressure of Sevilla and the risk of Sevilla scoring). The game ended. 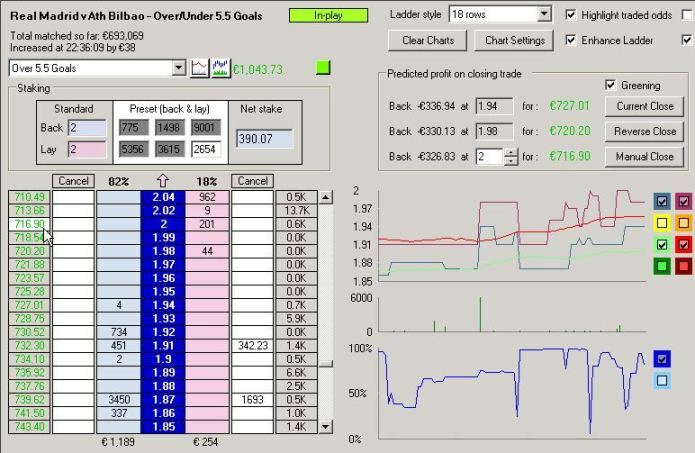 My profitability in this match was much affected by two goals against my strategy in those moments, but even so I managed to get profit in all markets. My final outcome was 8.010,66€. I’m going for a walk with Hermes. I’ve got everything ready for tonight’s match between Getafe and Zaragoza. I don’t know if it will be broadcasted in England, which by itself can drop drastically the liquidity of the match. Probably I will have to apply the “knowing not to do anything” in this match. 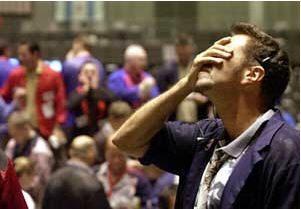 As we predicted, it was a match with low liquidity. When there is no liquidity, trading is harder and we must focus on punter analysis (simple betting). Analyzing, I saw a match where Getafe would have the possession and Zaragoza would be trying the counter-attack. I assumed the risk of Getafe score a goal making me lose money, but in my opinion the Lay on Getafe at an odd near 2 was a value bet. As the match proceeded, Getafe had the possession, Getafe’s odd dropped more. … and I bet even more against Getafe. The trend continues. Getafe runs the game, has the possession, creates some opportunities but without great danger. The market, in general, thinks that Getafe will win the game. I don’t think that way. With the drop of Getafe’s odd I bet even more against Getafe. After the goal, I bet in favor of Getafe at 5,1 thus winning 2.879€ independent of the final result after that moment. And half time came without anything else relevant happening. 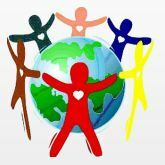 Now I’ll take the opportunity to demonstrate that this forum is frequented by people with valuable ideas, and that the entire community can benefit from the exchange of ideas. This was exactly what I thought too. Once the match restarted, I analyzed carefully the attitude of the teams in the field. We could see that Michel’s speech to Getafe’s players during the halftime had effect and they came into the field with different attitude. On the other side, it quickly became apparent that Zaragoza’s players would try to grab at any cost, that very important victory to get out of the last place in the league. This attempt to grab at any cost, is a mistake that some teams, either consciously or unconsciously make. Put themselves to defense and the game starts to be played closer to their own goal area. I’ve seen this movie many times and I know that the probability of the game ends with the victory of a team that follows in this mistake is far less than the probability that the 1,79 odd suggests (1,79 was Zaragoza’s odd at the halftime). Then I decided to bet against Zaragoza. By the 4 minutes of the second half, Getafe scores a goal! 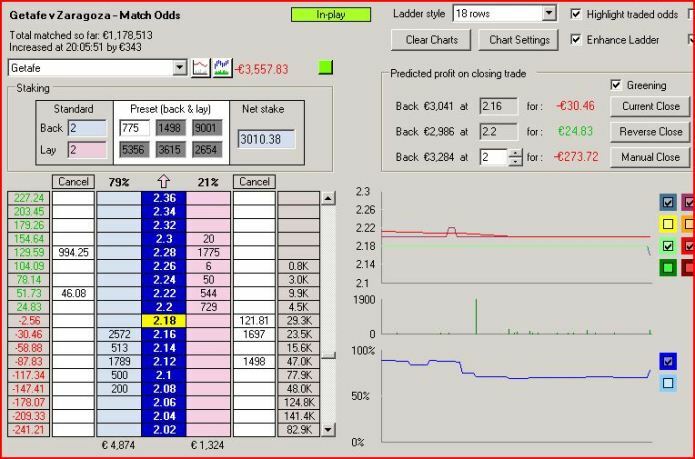 Despite the goal had happen by the 49th minute, I could only close my position (bet back on Zaragoza) by the 70th minute because the Betfair market was suspended during all that period. 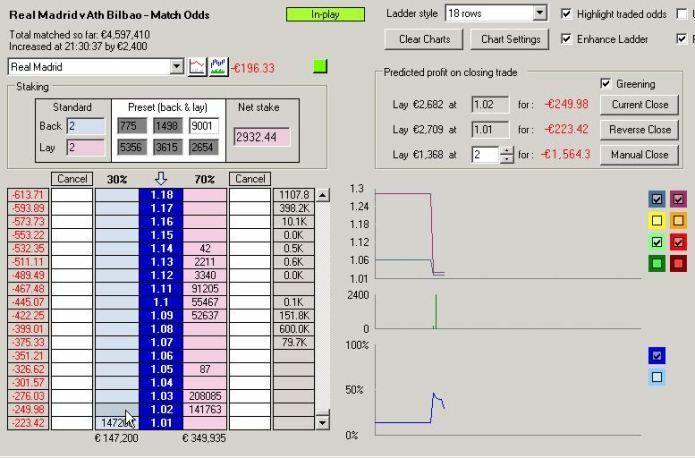 I managed to close with 14.237€ profit in this market due to my accurate reading of how the teams came out from the halftime. 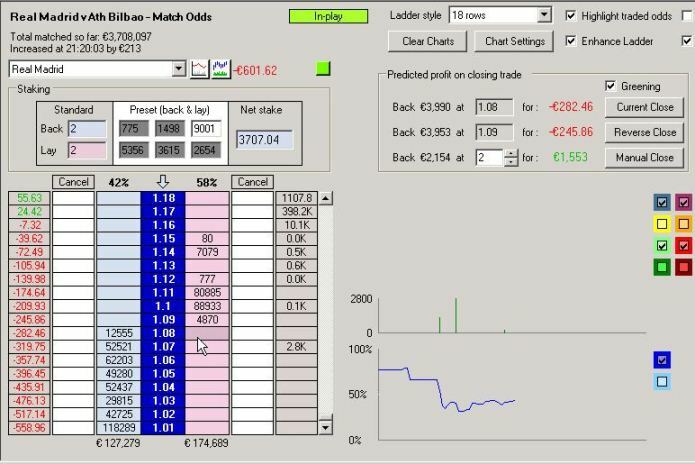 Next I moved to the draw market and I trade (back/lay) until the end of the match managing to win more 700€ in this market. In all, I won 17.688,39€ in this match, which is very good taking into account the liquidity on the same: only 2,3 million euro. I still have no idea which match will I make today. I’ve already decided what will be the match tonight! I believe that the more interesting match is “our” Braga vs Arsenal. And you, what will you choose? 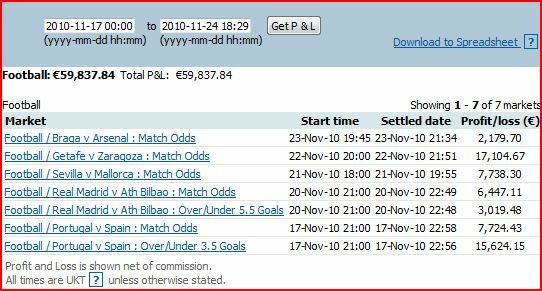 It actually had liquidity, as all matches with English teams, plus I saw Braga playing (and winning) which was good. But the balance at the expense of decreased quality from Arsenal team for playing without several usual players meant a match without emotion. The match has a dominating Arsenal but without clear strategies, and a Braga unable to counteract this Arsenal. Failing to find anything with value in this match (any trends, any value odd), I spent the first half “trying” to trade in Arsenal’s market. Even that I couldn’t do right and I got to the halftime losing 176€. Usually I can find a trend in the match and the market eventually adjusts to that. In other cases I can’t find a value odd according to what is going on in the match but I can find a trend in the market and profit with trading. «Probably I would have to apply “knowing not to do anything” in this match. I just stopped placing bets and watched the match hoping to find some opportunity. And it finally appears… (for the worst reasons). In my opinion it was the key moment of the match. 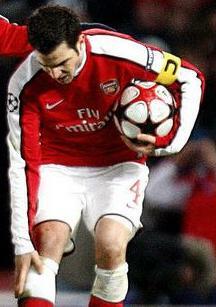 Arsenal needs his captain very much. 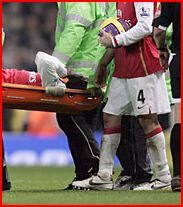 I bet against Arsenal because from now on he would have more difficulties to win the match. I doubled my bet when Eboé was injured and left Arsenal playing with 10. I end up winning 2.179€ with this match. 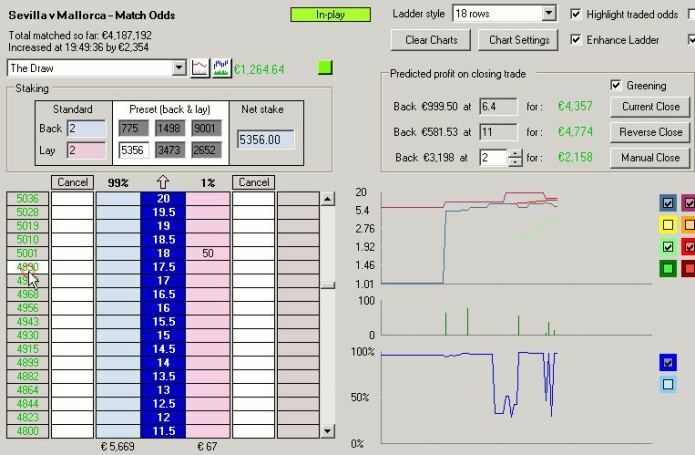 I hope you understood the importance of, at the right time, I had stop making bets and simply await the emergence of an opportunity with a value bet. 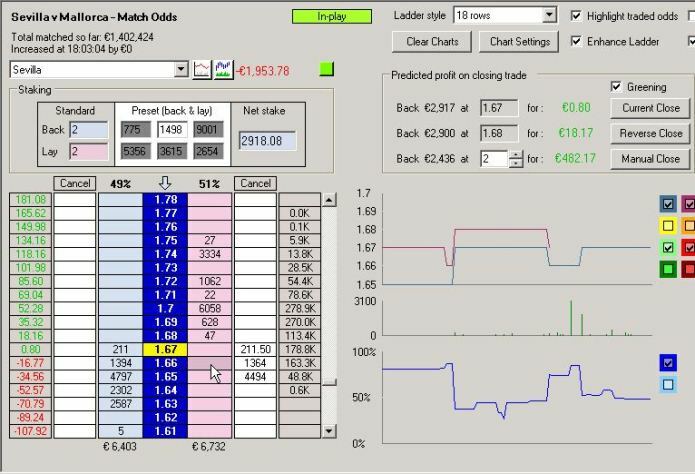 More than making money with this match, I avoided losing money by avoiding bet without being convinced that I was betting with value. We have to have the merit to find value bets, but before that, we have to be lucky to be on the market when the value bets are there.